Have you ever had a project that the space just didn’t work as you originally envisioned it? 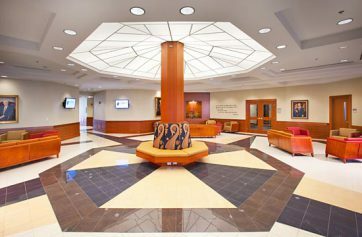 Southeastern Interiors offers commercial interior design services to all of our clients. Our interior designers are available to you at no additional charge with the purchase of both installation and building materials! Added Visual Appeal– First of all, a good interior designer can make your commercial space truly shine — and it’s more than just the color coordination between paint, furniture upholstery and flooring materials. While those are certainly critical aspects of establishing a great-looking room, interior designers can also add drama to a room through selection of additional elements, such as lighting, fixtures, windows and more. Improve Efficiency– Another key component of interior design is making the most out of an available space. Utilizing every inch and making it function properly is so important. Our designers can customize a space depending on your organization’s specific needs, improving operational flow, providing adequate storage and more! 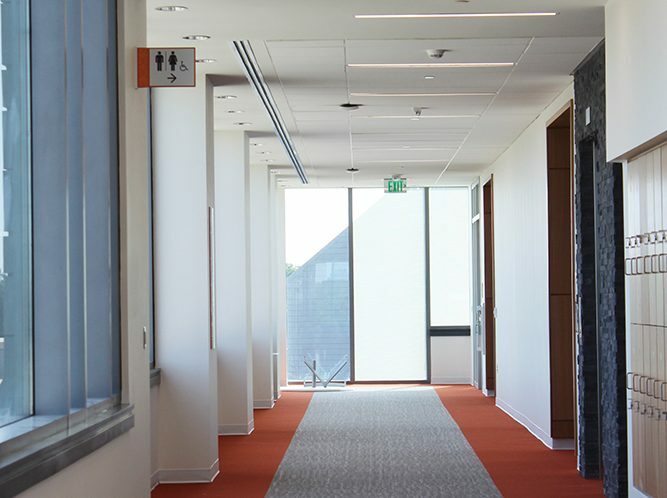 Manage Acoustics– Flooring and wall materials can dramatically impact how sound travels in your commercial space. Our interior designers can assist you in selecting the right type of flooring or wall to achieve the sound level you need. Call us at 877-207-3759 and ask for one of our professional interior designers.